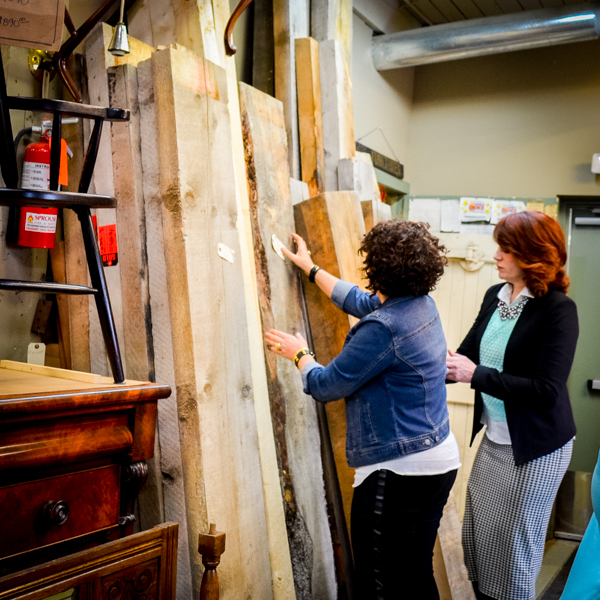 On any given day, you will find Karen and Debbie on the hunt for unique, one-of-a-kind materials and elements to enrich the homes of their clients. They are passionate about getting spaces “just right” and won’t rest until they find the perfect fit for their clients’ personalities, passions and lifestyles. When they don’t find what they’re looking for in their favourite spots, the next stop is with their artisan partners to create the perfect bespoke piece. You will find them following the custom designed piece through each step of the meticulous handcrafting process. From the underlying structure, to the cushions custom-fit to a client’s body, there is no detail too small for a tailored, one-of-a-kind masterpiece. Karen Fron Design is a full-service Interior Design Firm located in Calgary, Alberta. Specializing in bespoke residential and commercial interiors, custom furniture, cabinetry, luxury draperies, upholstery and top to bottom renovations. Every Karen Fron Design project is built around the lives of real people - it's the personal side of design. © 2019 Karen Fron Interior Design. All Rights Reserved.